The girl's basketball season comes to an end with a nail biting play-offs game. The Bomber girls basketball team went down fighting during their last game of the season. For the two seniors, Lola Munson and Morgan Roeber, it was their last game ever with the Cannon Falls girls basketball program. On Sunday, February 17, the girls team got seeded seventeenth for playoffs. To advance in the playoffs, they had to play a pigtail game, meaning they’d compete against a team from the seed above them. Chatfield was the sixteenth seed and their next competitors. So, on Tuesday, February 19, the girls took a trip to Chatfield for a seven o’clock game. Cannon Falls was ahead throughout the first half of the game and most of the second half. However, Chatfield began to boost their game late in the second half, diminishing the Bombers’ lead. With only three seconds left, the game was tied: 46 to 46. Chatfield had the ball, they threw it in, passed the ball, buzzer… shot… win. Cannon Falls fans went home as the girls’ season came to a heartbreaking end. Sophomore Makayla Bowen says “the Chatfield game was definitely one to remember to say the least.” She explained how it had been a great way to end the season knowing they had played their hearts out and had done so together. 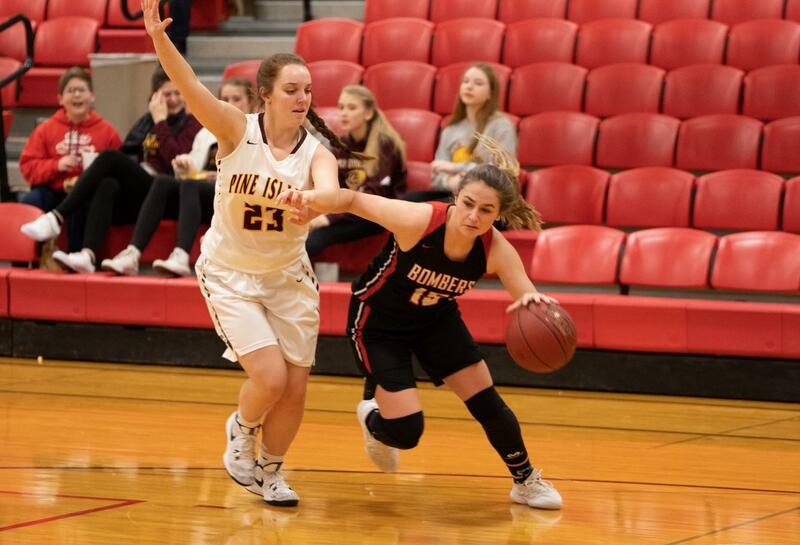 The girls finished their season with a sitting record of 5 wins and 12 losses, not including their win during the annual Randolph holiday tournament. Senior captain Lola Munson says she had a lot of fun this season despite wishing they would’ve won more games. Munson added that even though they are a smaller and faster team, not having a big girl was the weakest area for the team this past season. The team consisted mostly of younger players and in the coming years will hopefully develop so their strengths will outweigh their weaknesses and they will have more successful future seasons.